The BP saga continues. 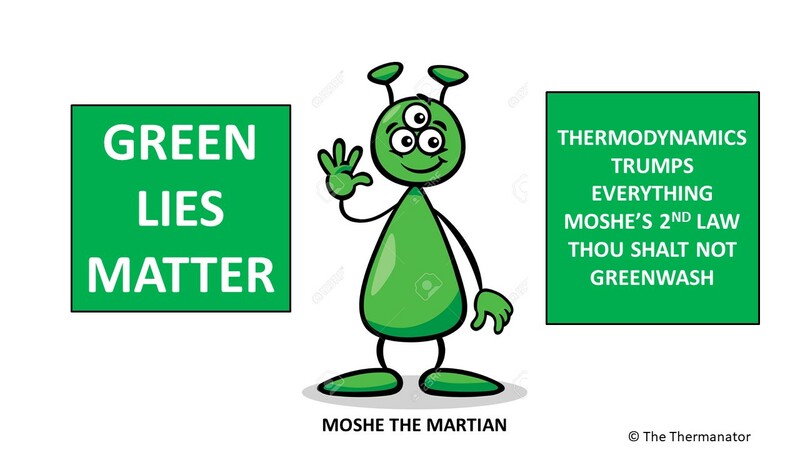 Several readers of the Green Machine have written to me that I am biased against BP and that I am veering away from the laws of thermodynamics. I wish they would post comments below so we could have an open debate on who is a true follower of the three laws. I feel pretty confident I will be upheld as an orthodox person even under the scrutiny of a bright LED light. I guess a few of the comments came about because of my reference to Bezerkley and their tie up with the Burning Platform to produce bio-fools. Bezerkeley like the north sea oil fields is past its peak and is rapidly becoming a second tier university in engineering. This blog is about BNSP or Beyond North Sea Petroleum. The British were a net exporter of hydrocarbons for over 25 years and this all changed in 2006 when the UK became a net importer once more. The folks at the Burning Platform have been sucking hydrocarbons at a rapid rate out of the fields in the north sea. Tony Blair realized this back in 2001 and was happy to join GW in looking for weapons of mass combustion in Iraq. I would not be surprised if Bring Pesos did not help form the policy to occupy Basra (British Are Still Requiring Asphalt. A few readers have written to me that Haliburton helped BP cement the well in the Mexican Gulf. These two companies have long been cementing deals that had massive benefit for themselves. It will be interesting now that they will each point fingers at the other and not take blame on the own. One reader from the UK wrote to me a few weeks back that he was certain there was no global warming as he had not seen any articles in the press about a corresponding diminishing atmospheric oxygen concentration with the increasing carbon dioxide concentration that has increased by 100 parts per million. I had to help him with basic chemistry and point out that even if there was a drop of 100 parts per million in oxygen concentration in the atmosphere, who the bloody hell would collect data to show oxygen concentration declined in 200 years from 200,000 volumetric parts per million to 199,900 parts per million? Sometimes I think I should stop blogging with the nonsense I have to read from readers but then I realize the purpose of the blog is to make gringos green and most gringos have not been taught thermodynamics and believe what they hear on CNN (Clinton News Network). At least we do not have to watch the BBC that stands for the Biased Broadcasting Corporation. I generally enjoy your blog and the insightful info you provide, but your rants against BP and all big oil came off, at least to me, as nearly crazed, frothing-at-the-mouth extremism - all big business bad, big gov't and big taxes good... All the "BP this and BP that" began to sound like a broken record, and as such I began to just tune you out. Sad, actually. I agree with the other readers who think you are veering away from the purported purpose of your blog and straying from your area of expertise into the murky, divisive realm of politics. So it was an oil spill. A platform that had won multiple awards for safety had a major accident, and BP is liable. Big disaster like the Valdez. Not good. BP is working to clean it up - they are trying to fix things and it will cost them dearly. But to go crazy on BP and all oil is just that - crazy. Do oil companies profit? Yes. Do oil companies lobby for sweet deals? Yes. Do oil companies provide us with the energy that we all use, including you, oh green one? Yes. Have oil companies significantly cleaned up their act over the past several decades? Yes. Have oil companies began investing major funds in green tech and alternative energy? Yes. Go ahead and rip Berkeley for taking $400M for alternative energy research because BP just had a large oil spill. Your hindsight is crystal clear, as hindsight always is. It could have been any oil company, it just happened to be BP. You may be trying to just have a little fun with your BP thread, but it got old after a few repetitions. I am no lover if big oil, and I am sure there are crazy excesses with the oil industry just as with numerous industries. Shall we digress into a rant to vilify all big business - bankers, insurance companies, doctors, pharmaceutical companies, etc? Evil all around? Greed? How big do you want to go with this? Sounds like material for a different blog. Regarding the "nonsense" email from one of your readers, maybe I'm missing something. Isn't the EPA trying to regulate carbon down to "parts per billion"? Aren't scientists studying ice cores to determine the components of the atmosphere over time, down to miniscule levels, and over thousnands of years, not just 200 years? Lastly, please square us away on your position on anthropomorphic global warming: The science is settled? CO2 is pollution? Should it be regulated down to "nonsense" levels such as parts per billion? CO2 levels are causing the temp rise? Is warming a disasterous thing? Are we facing armageddon? Would Kyoto levels have any measurable effect? Is Alfalfa, another guy who you say spews "nonsense", right? Old Skollie (the South African word) for a gangster glad to see you are defending your old school of Bezerkly. I happen to dislike the British for what they have left as a legacy in Africa , Asia and the Middle East so perhaps the B in BP gets the hair up on my back. If we could train flies to pee gasoline we could get rid of Bee Pee but we cannot. Not even Vinod has made claims that he has cloned a fly to do this although the average Gringo will invest in the company that claims this. In truth there is very little I can do to add to the global warming argument. Nothing is 100% percent certain about climate change. I do believe there will be another ice age before all humans are gone. This ice age will come about because of wobble, tilt, and orbital change that will overwhelm CO2 even it reaches 1,000 ppm. 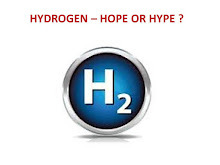 Water vapor in the stratosphere from all the hydrogen fuel cell cars that Kleiner P will sell in 2090 will be far worse a greenhouse gas than CO2 from the cars American Motors sold. Life is full of contradictions and cretins. Just like my Rabbis of old who had to escape the persecution of the evil empires including the British the only important thing to remember is what Hillel said "if I am not for myself who will be for me, if I am only for myself what am I, and if not now when?" Skol be like Hillel and realize we are in this crap together, you have to fend for yourself yet help others and there is no time like now to do it. It is the following: Drive less, eat less, have less children, keep the thermostat low in winter and the windows open in summer. And for certain don't believe a word BP tells you about how green they. We are all in this crap together. No doubt. We must all fend for ourselves, but we also must try to work together to forge a sustainable, which includes peaceful, path forward. Holding grudges against all things British because of their imperialist past seems like a divisive mindset which cannot help things going forward. We can look at all of the atrocities throughout history, and then hold grudges against the modern day versions of the past perpetrators of atrocities, but does that really help us moving forward? The Nazis perpetrated the Holocaust, so we should condemn all modern day Germans now and forever? The Japanese bombed Pearl Harbor, so we should not deal with the clearly evil Japan of today? Americans and numerous other groups throughout history have periods of slavery in their past, so all of these present day societies should "get the hair up on our back," and deserve our full ire? To label Britain an "evil empire" seems fairly selective. By your definition, it seem most societies could be characterized as evil empires, America (and South Africa) included. If this is true, what would be the "fix"? Returning to primitive times? Returning America to the Native Americans? Returning all of Africa to Native Africans? Don't hate the Brits because they are the "easy target" du jour. Without Brits, you and I would not be here in America, free to blog respectfully about our viewpoints. Peace. And Go Bears! Regarding comment on the 'evil empire', as much as I would prefer not to generalize, because there are indeed some benevolent, upstanding Brits, I, however, after spending the better part of a year in the Midlands of the UK, experienced evil in England, first hand. Evil, I would qualify as being inherent in the culture. I'm not sure this sub-sea 'volcano' in the Gulf will cost them enough. I also do not think these oil companies have precipitated or invoked the MASSIVE change toward RE techonologies in a timely manner to bring these technologies online, proactively. It's not to say that evil isn't inherent in other cultures, but as far as I can tell, based on first-hand experience in trying to transgress cultural boundaries, my overall sense of the Brits is, quite frankly, as a nation, they actually are, morally bankrupt and the enemy of not only all indigenous people, but the natural order of the universe itself. Don't get me wrong, I don't hate them because they cannot help what they are any more than a dog can refrain from barking--they are going to do what they were designed to do and that is that being the principle agents of negativity on our spaceship Earth. Agents who eventually will always create an atmosphere of chaos and confusion resulting with death and destruction. And a number of CEO Tony Hayward's insensitive effluvia, and impropriety on the Gulf mess matter only reaffirms this selfish, evil. So, expecting them to understand the higher emotions like love, compassion or empathy, I think, is sheer folly.